I need the name of that restaurant JD, because i’m coming to atl next weekend and I am a vegan, black people are crossing over. Kelly was effin’ that food up.LOL!!! Love the haircut and the little snippet. Where Tyrone @ these days?! 30. Have radio interviews set up for every tour city. 31. Use TT to tweet and add @dondria’s name, this way a larger group of people can get familiar with her name and know her release date. 33. Re-release her album 6months from now with a golden ticket(doesnt have to be that color) and the winner gets to spend a day with Dondria. 34. Have Dondria perform at colleges in Atlanta and in other states. 35. Contact followers of 106&Park, tell them to follow Dondria, Text Don to 79922 and provide a link to her album. I have many more ideas so JD make sure you remember @ballajb. 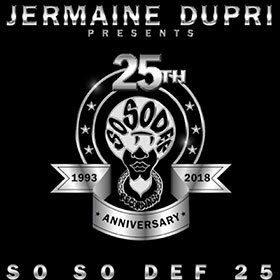 I have a Business Marketing degree from San Jose State University so I am interested in Marketing for SOSODEF and that only not singing and producing. So please everyone follow me @ballajb on Twitter and tell @LTLline to hire me.